Helen Skhoney is a goat. She was made by Patti Smith in 1959 in order to trim the grass around Patti’s new climbing frame. However, she was universally regarded as so incredibly witty, funny and beautiful that she was quickly put on display at the MOMA. 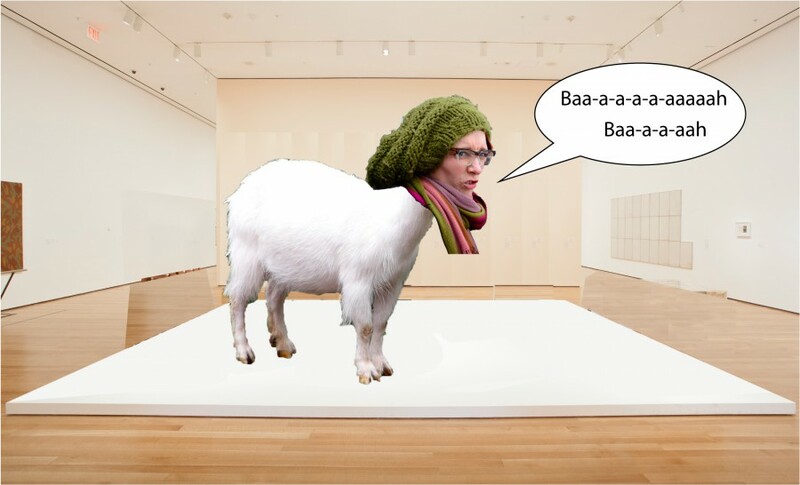 Spending long periods on a pedestal, bleating softly and looking at the pieces around her, Helen quickly learned how to be a phenomenal contemporary artist. Her work deals with hair, other hairs and sometimes hair, trout pears and the essence of cat. Negotiating between the worlds of human and lemur, she seeks to explore the impossibility of potato. She lives and works between her ears. She is temporarily disguised as a human.